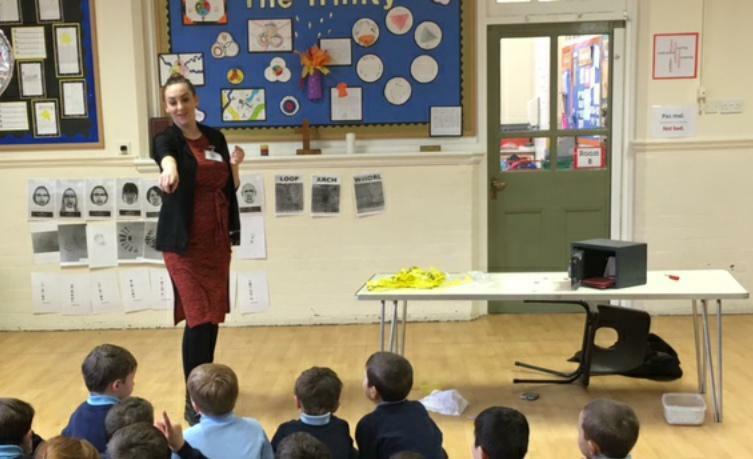 As part of our Science Week activities, all classes took part in Forensic Investigations led by an invited Forensic Scientist. 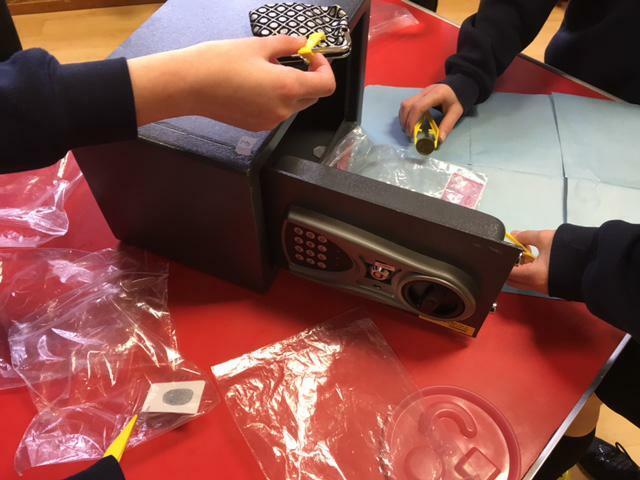 After learning about searching for evidence including fingerprints, footprints, fibres and DNA, the pupils worked in groups to solve the mystery of a robbery crime scene. 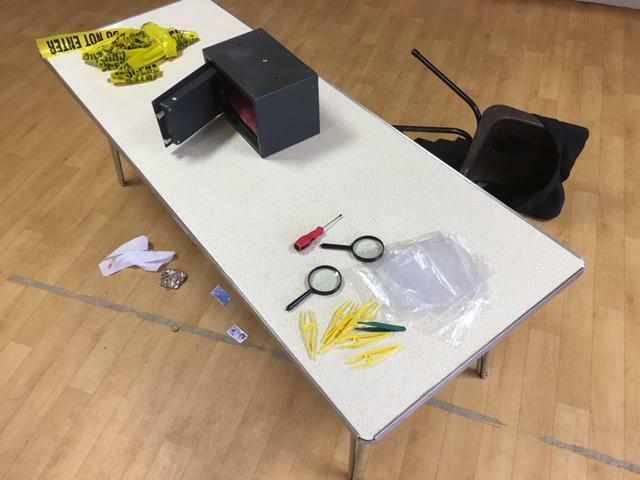 The task required many skills including teamwork, careful examination and recording of the evidence and reasoning to find the culprit. "I thought it would be easy but you really have to think hard!" "It was really interesting and fun. Can we do it again?" "Collecting the evidence was harder than I thought. I know who did it now!"